Asian dishes and American classics at the Waldorf Astoria Las Vegas. 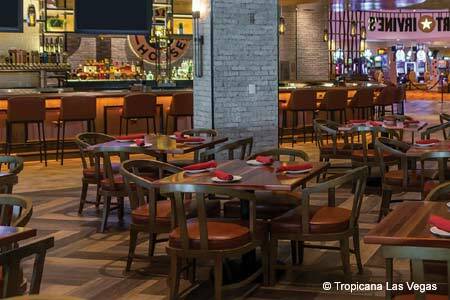 : Zen Kitchen offers a modern, serene setting for breakfast, lunch or dinner at the Waldorf Astoria Las Vegas. 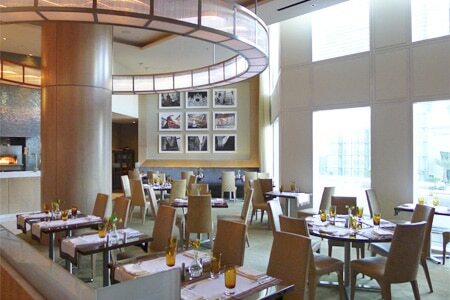 Located on the third floor, the dining room features large windows looking out on the Crystals shops of CityCenter and an open "kitchen theater" with a sushi bar and rotisserie. Diners can start with sashimi, nigiri and sushi rolls or a bento box with Asian small plates. The tandoori oven turns out Indian dishes such as chicken dum biryani --- marinated chicken cooked “en casserole” with saffron basmati rice, dill raita and mirchi ka salan. Continuing the East-West theme are options like Thai green curry, a 16-ounce bone-in rib-eye, and lamb shank curry with aromatic spices and roasted onions served with steamed basmati rice, lentils and naan. Weekend brunch presents a buffet of charcuterie and stations with sushi, seafood and desserts, plus entrées options such as eggs Benedict. Gluten-free menus are also available. Service is attentive.